You have 2218 characters. Don’t forget to add important and relevant keywords in your description to improve your iTunes app page and optimize your SEO. Your app's last version was released on August 15, 2010. It is important to regularly update your app. Best practices recommend to update your app every 4 to 6 weeks. This means fixing reported bugs, improving existing features, launching new features etc. Keep an eye on users' feedback. The next great features may already be asked by many users. - It's a full featured photo editor. - Supports exporting and resizing multiple photos. - Includes tools for editing and exporting metadata and IPTC. WIRED Magazine: "Photogene has long been one of the better photo-editing apps for the iPad, but a new update — version 2.0 — turns it into arguably the best around." - With Photogene you can easily browse, improve and export multiple photos. - Full featured photo editor: crop, straighten, color adjustments (including histogram and curves), sharpen and denoise, retouch tools and more. - Export or upload several photos at once. Photogene supports a wide selection of export destinations, including Flickr, Dropbox, Facebook, Twitter, Picasa, FTP and e-mail. - Special effects: center focus, tilt-shift, vignette, frames, reflection, text boxes and much more. - Presets: large collection of predefined presets. Instantly give your photo a new look and then tweak it yourself. - Collage maker: combine several photos into one piece of art using a variety of templates. - Metadata editor: visual display of all the information stored in your photos. Including location on a map, date&time, file size, etc. IPTC editor included. - Resize your photos as you export them. - Enhanced RAW support. Photogene can open most RAW files in full-resolution. Why should I pick Photogene? - Photogene works directly with your photo library and albums. No need to import your photos. - The user interface is quick and responsive. Most actions happen in real time. 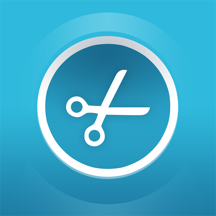 - The app offers a wide selection of photo editing tools. No gimmicks - they will actually make your photos look better. - Improving your photos is easy, even if you've never used a photo editor before. If you're a seasoned photographer, you'll find all the professional tools you need. - Photogene offers a unique photo browser that shows large thumbnails. - Nondestructive editing. Your edits are saved, but the original photo is always preserved. - Unlike other apps that export the edited photos in low res, Photogene can open up for editing very large files and supports an export resolution of up to 21 MP.